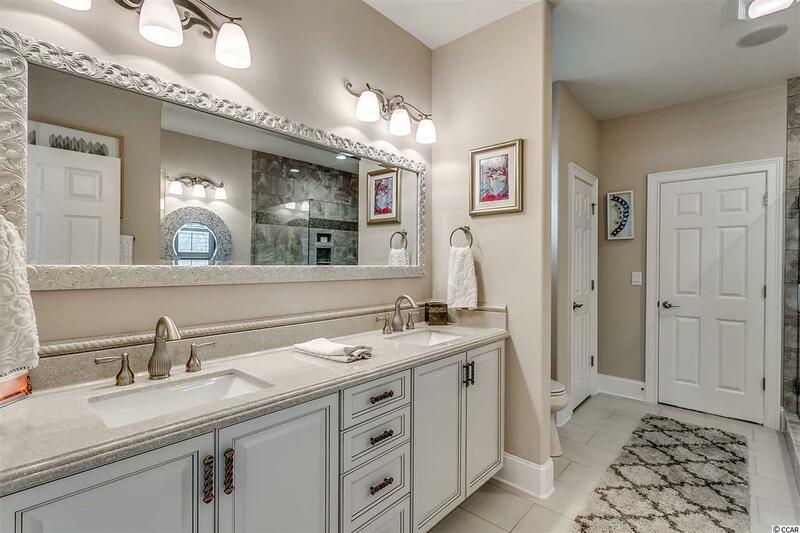 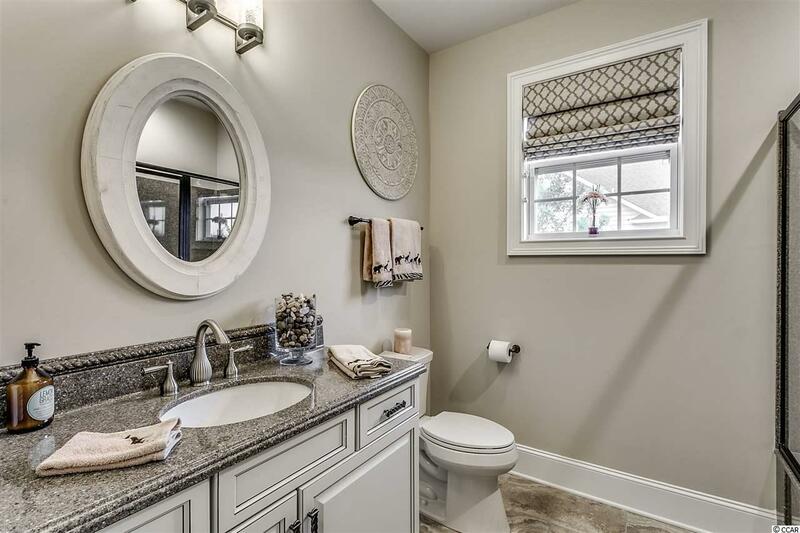 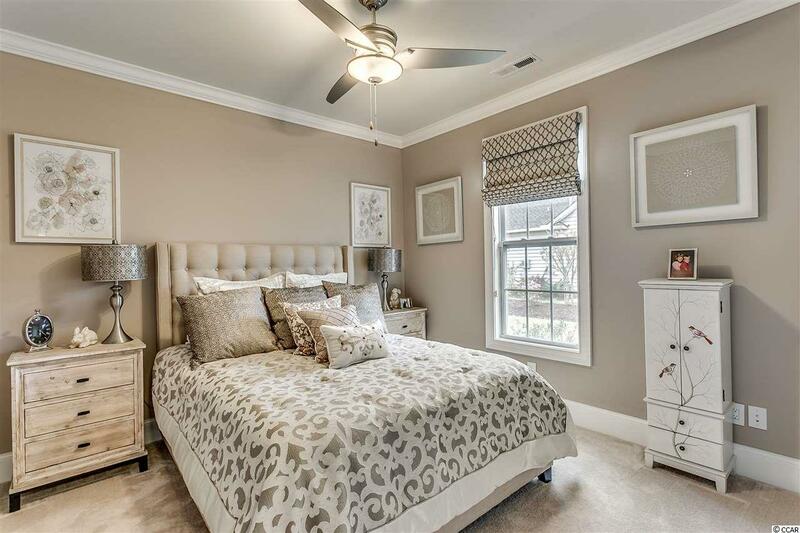 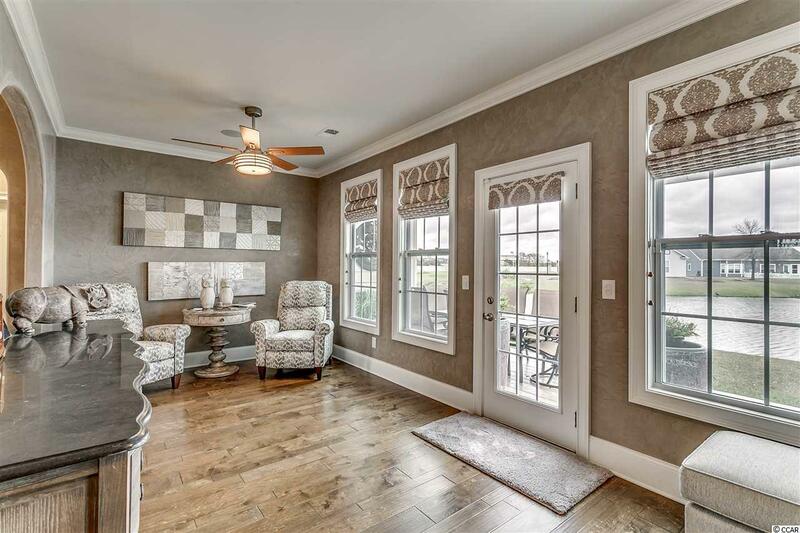 This gorgeous, professionally decorated, former model home is waiting for you! 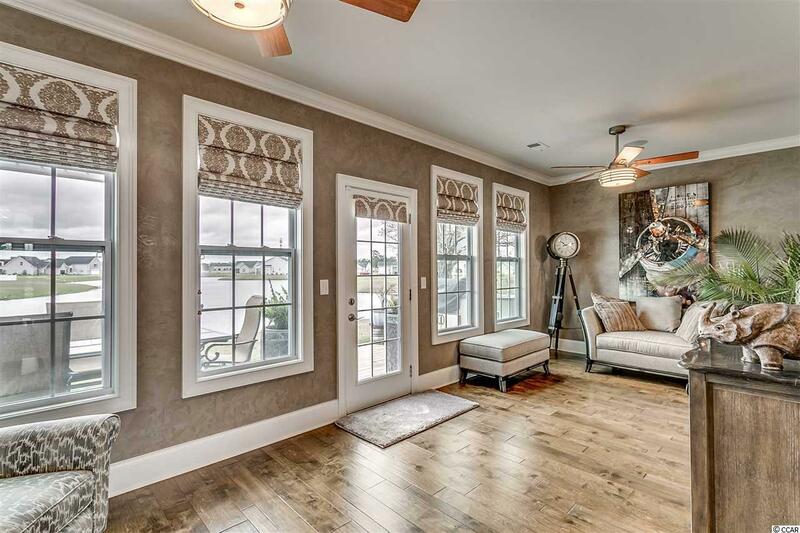 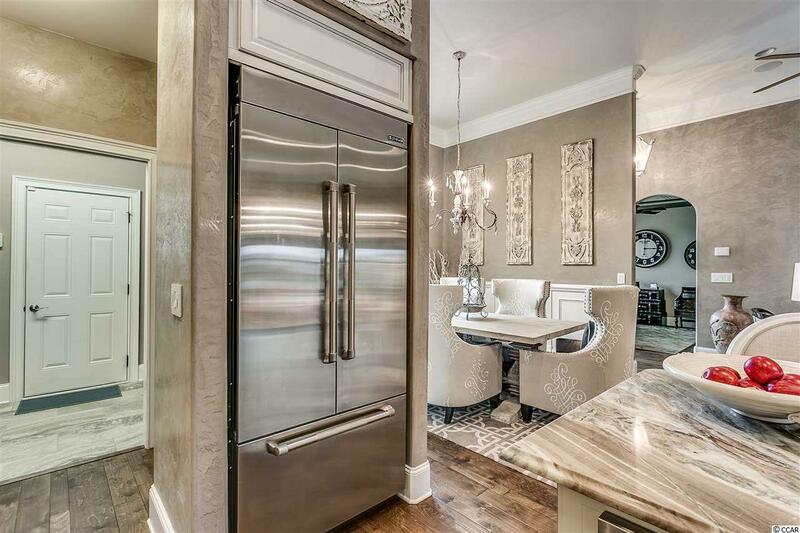 You will be blown away with the amazing upgrades that this home hasâVenetian plaster painted walls and hardwood flooring in the living space, large profile baseboards throughout, and whole home fully integrated surround soundâjust to name a few. 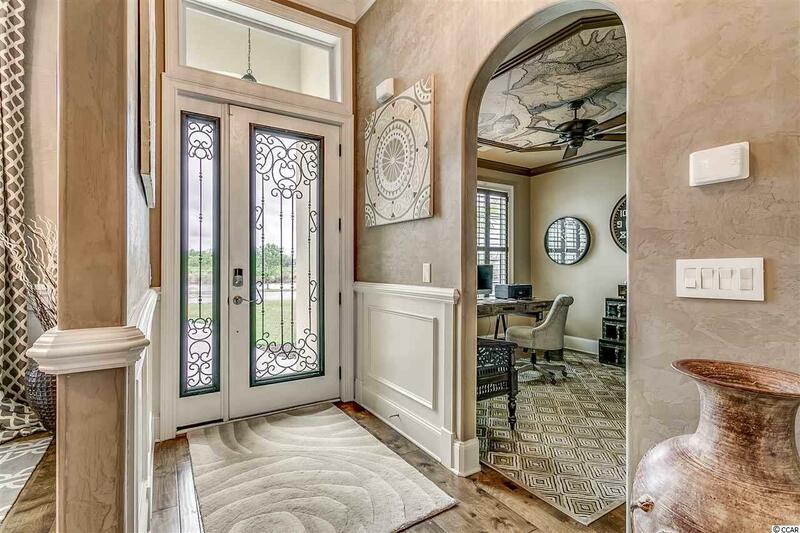 As you enter your new home, you will see the office space to the left. 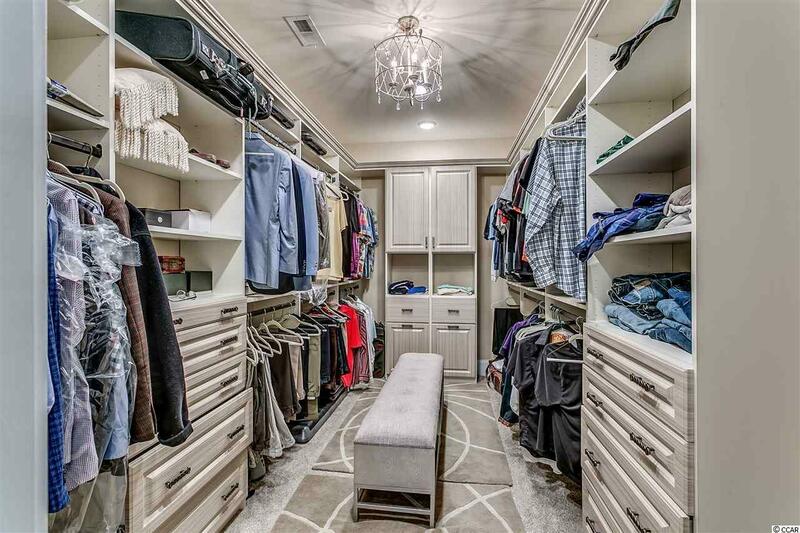 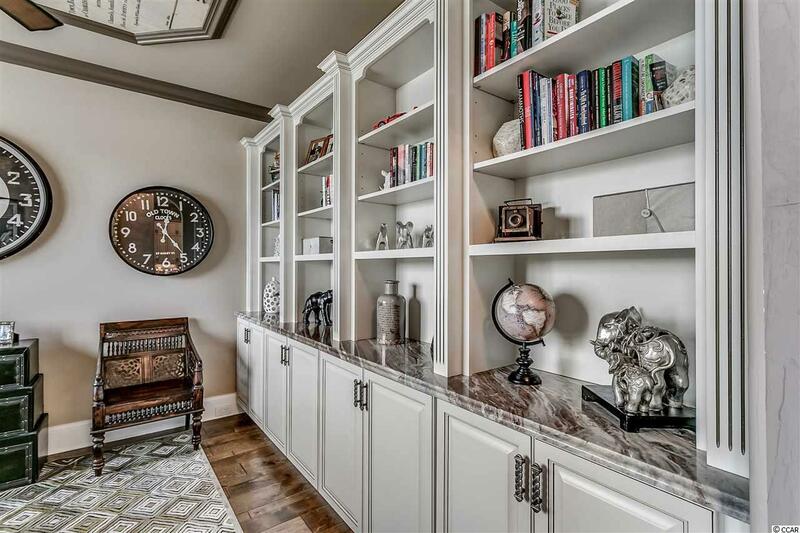 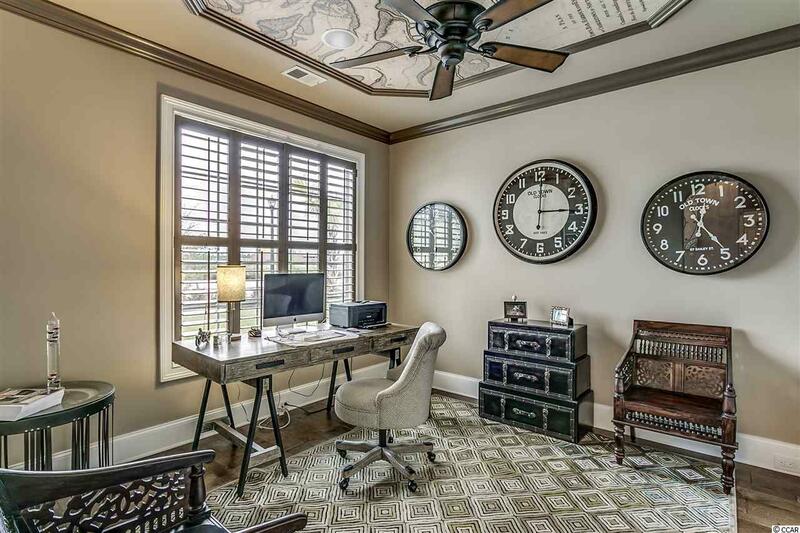 This area has built in shelving and a unique tray ceiling, complete with a South Carolina map! 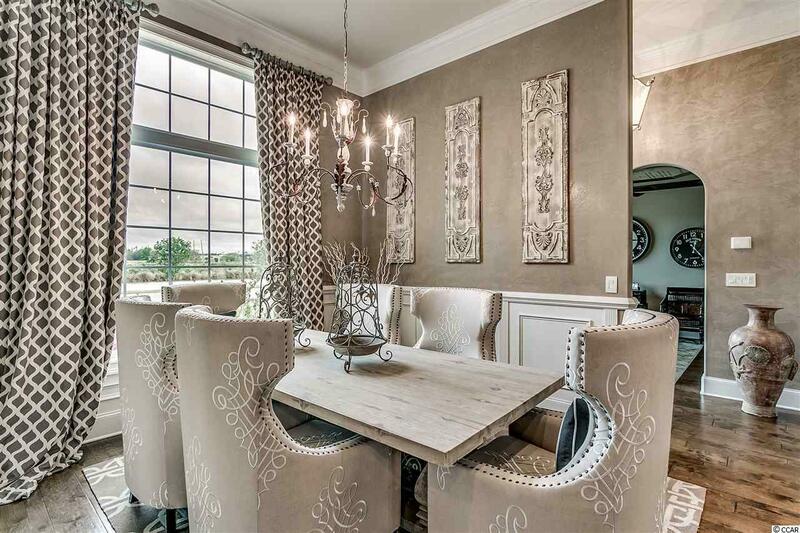 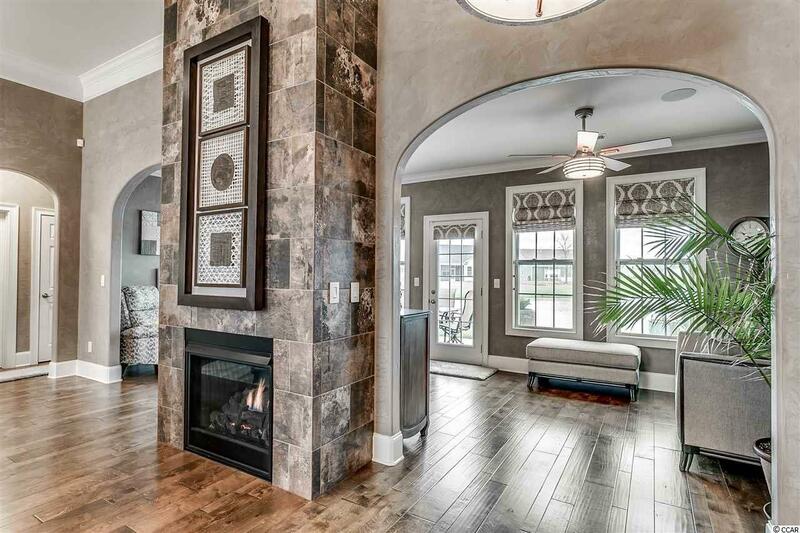 Near the foyer is your formal dining roomâperfect for your family dinners and celebrations. 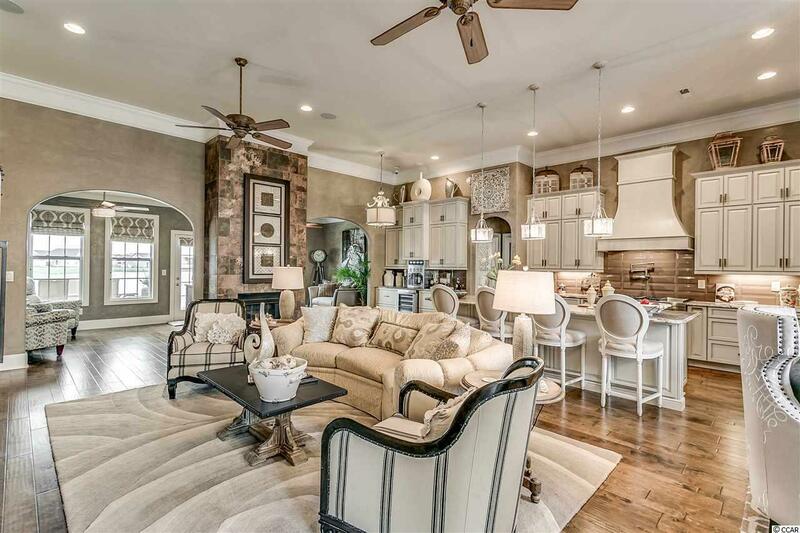 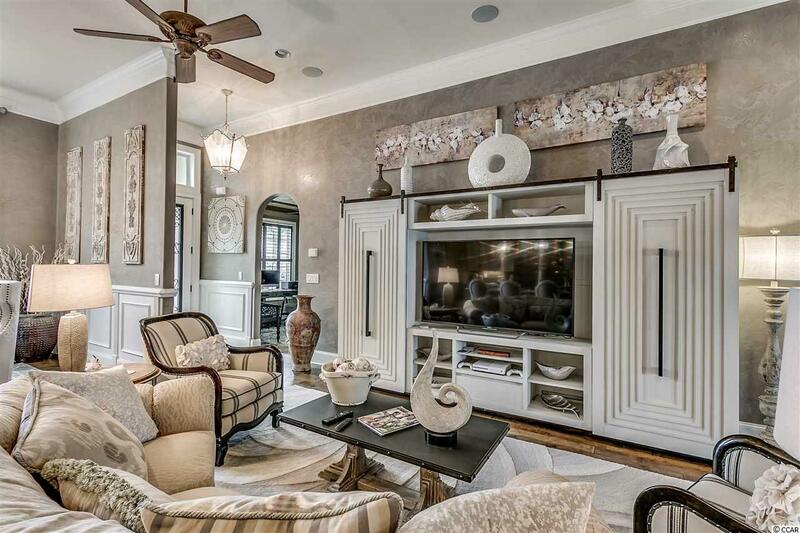 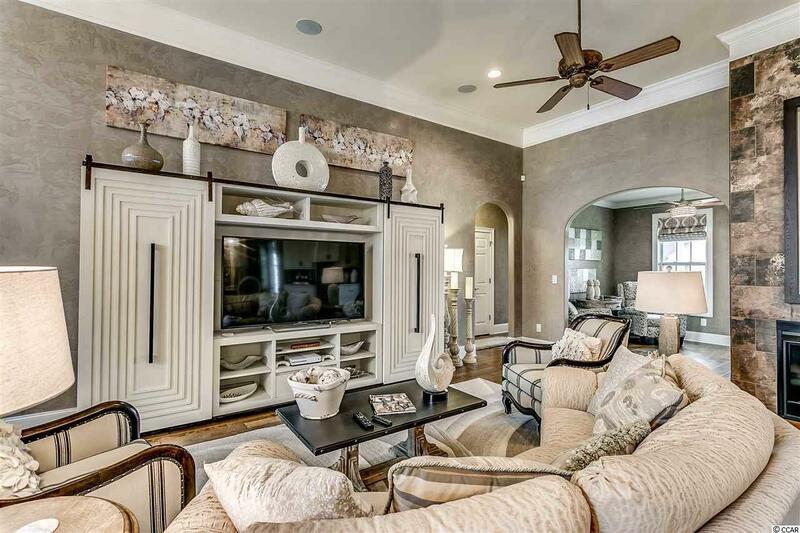 Relax in the living area, which in this open floor plan setting, is great for entertaining! 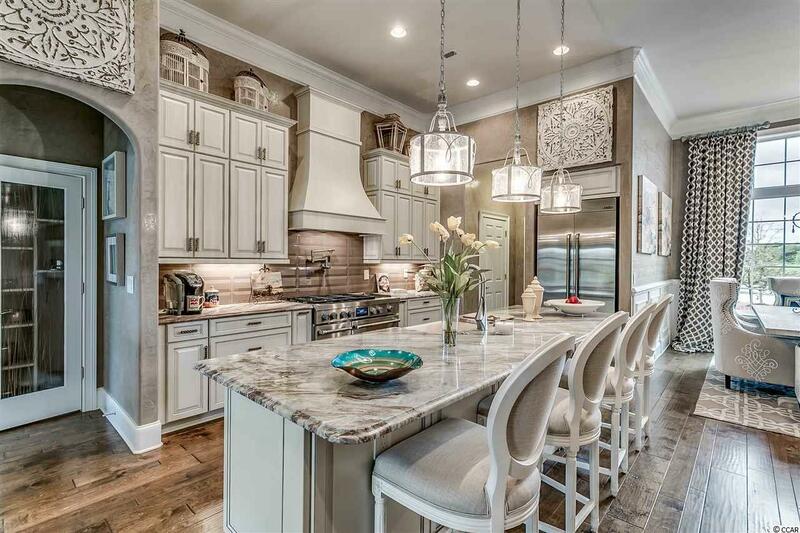 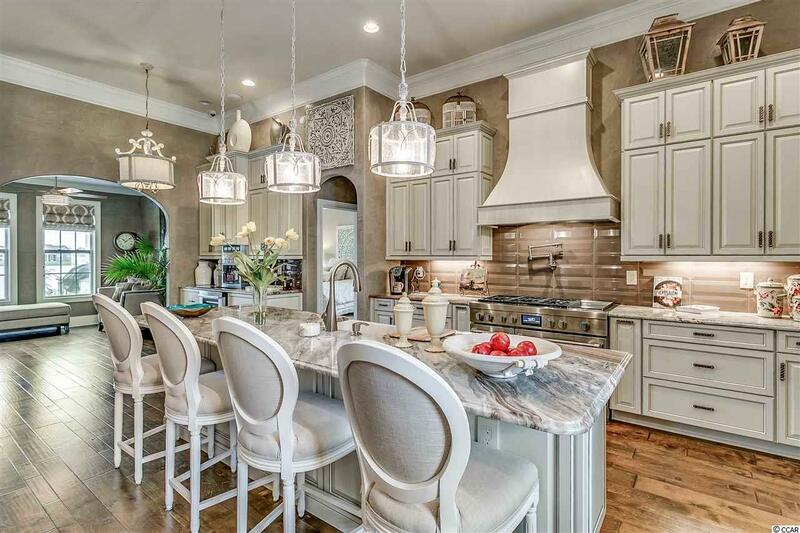 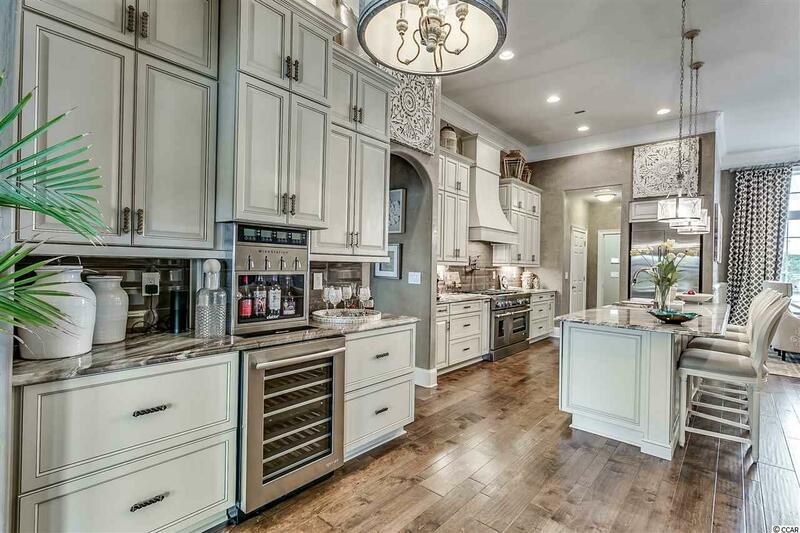 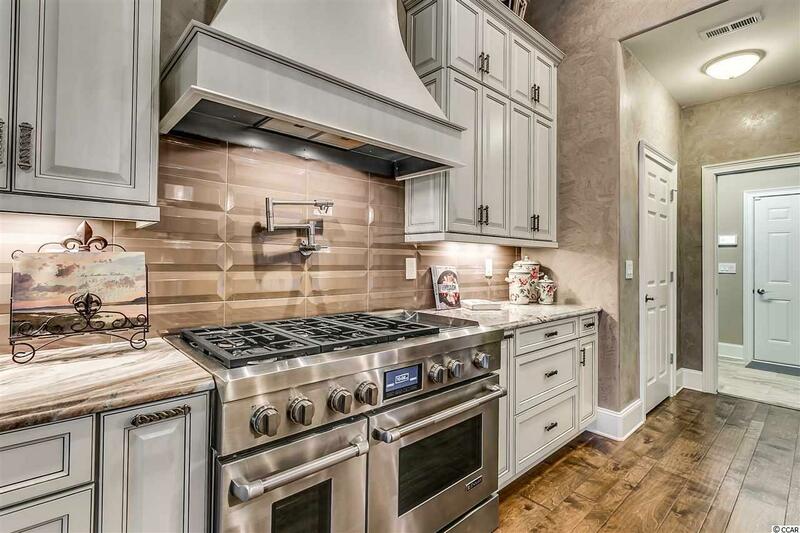 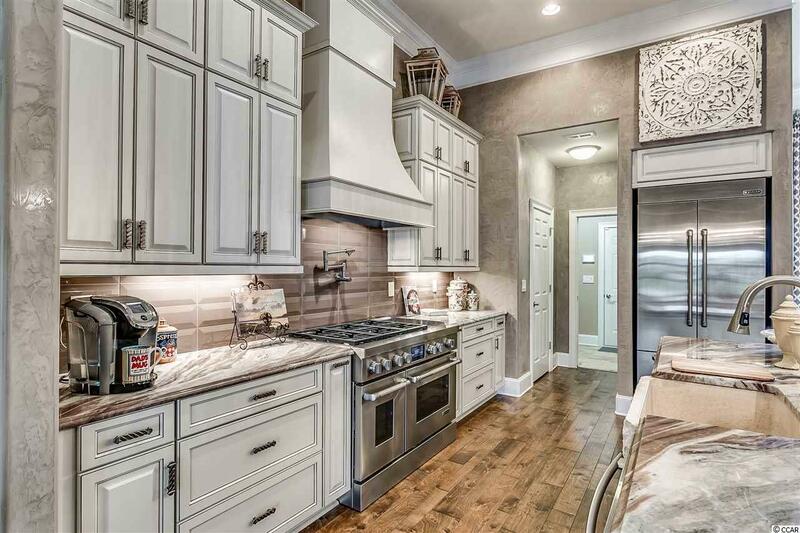 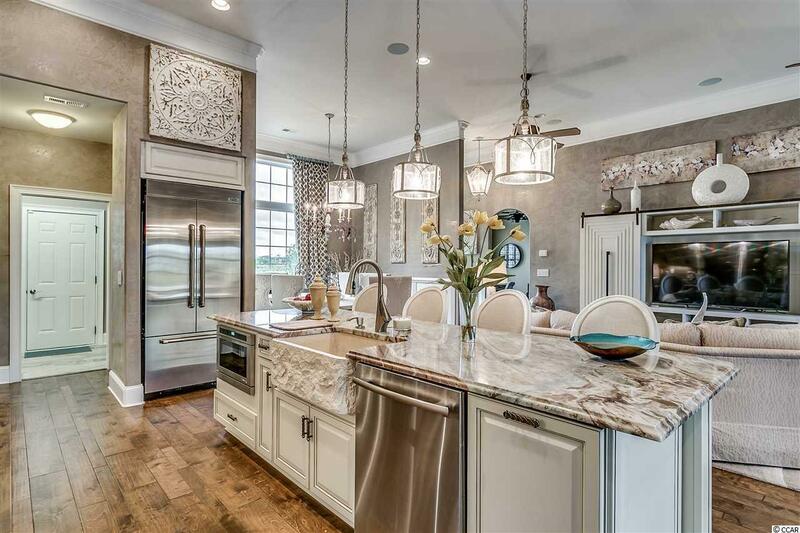 The gourmet kitchen in this home is definitely every chefâs dream! 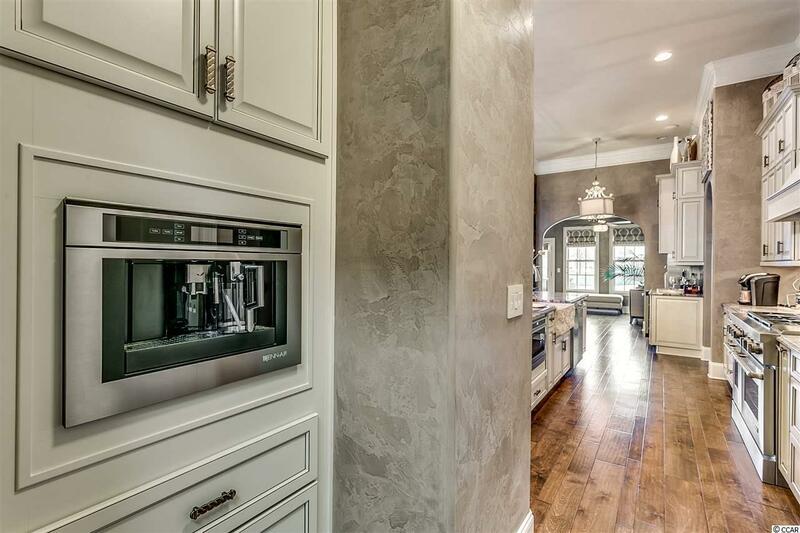 The Jenn Air appliances that will be at your fingertips include the Pro-Style Dual Fuel Range, French Door Refrigerator, Trifecta Dishwasher, Under-Counter Drawer Style Microwave, built in Coffee System, and under cabinet Wine Cellar. 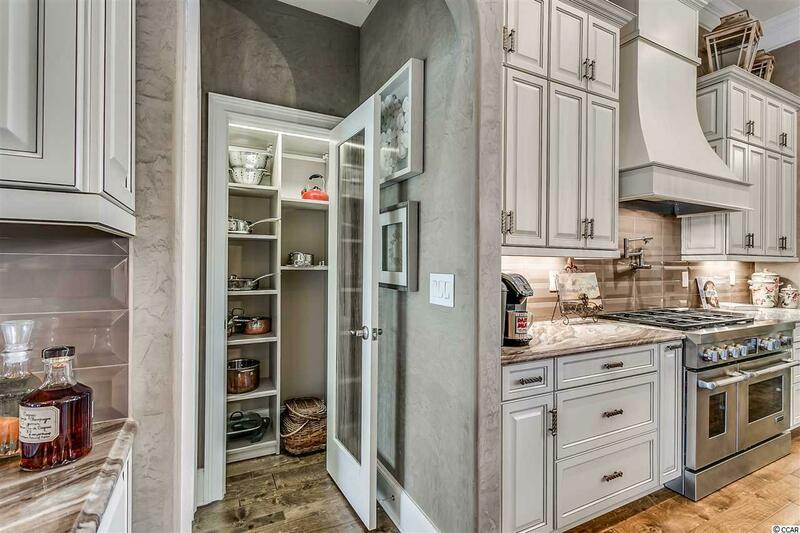 The two pantries are easily accessible as will be all of your cookware and bakeware in the premium cabinets. 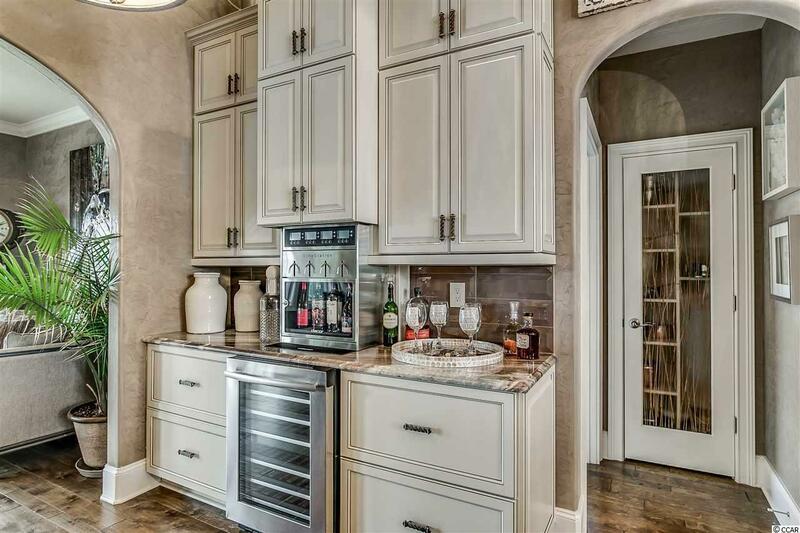 As you get ready to entertain your family and friends, make sure you have the Dacor Wine Tap stocked, the fire going in the beautiful tiled fireplace, and the pergolaâs remote control close by to adjust to the changing sunlight. 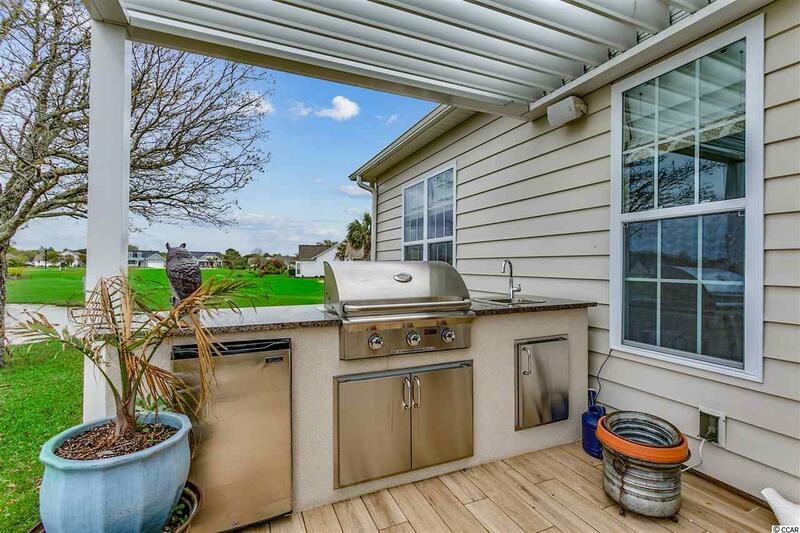 As the guests move into the outdoor living space, they can easily relax on the patio as the grill is fired up and cool beverages are passed out from the outdoor refrigerator. 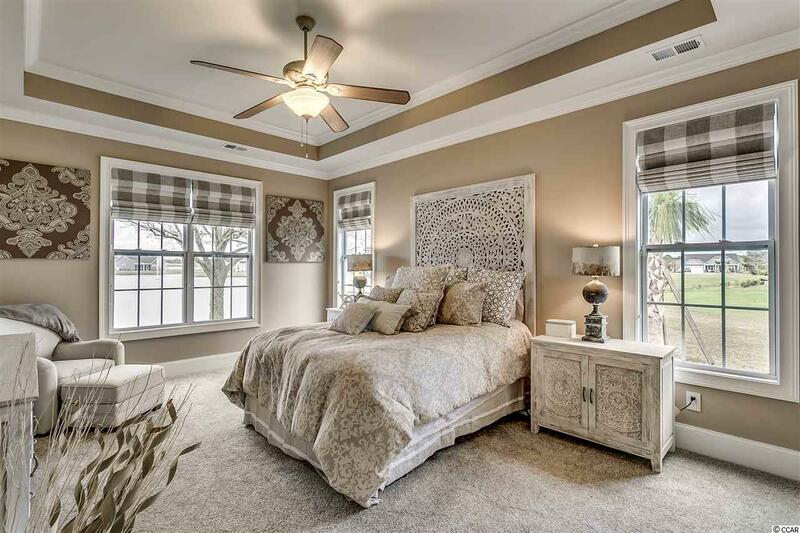 The master suite is a paradise to start and end your day in. 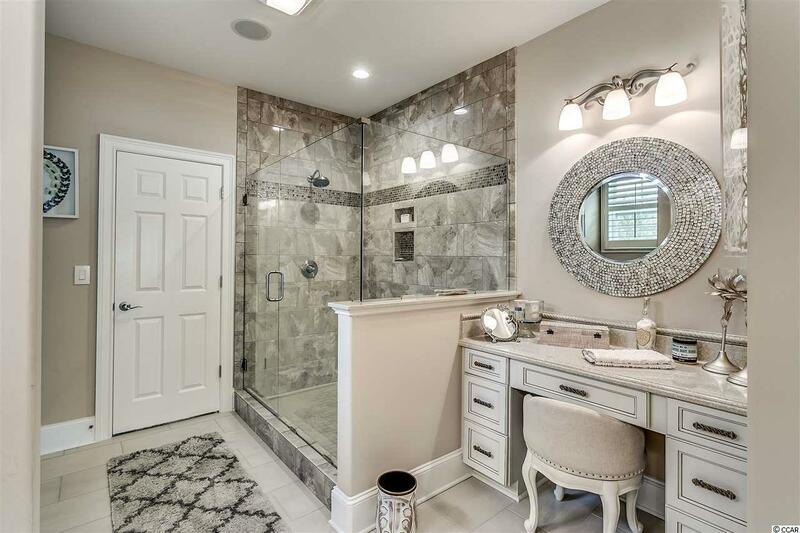 The glass enclosed tile shower, the built-in makeup vanity, extensive walk-in closet, and tranquil lake views are all available just for you in this suite. 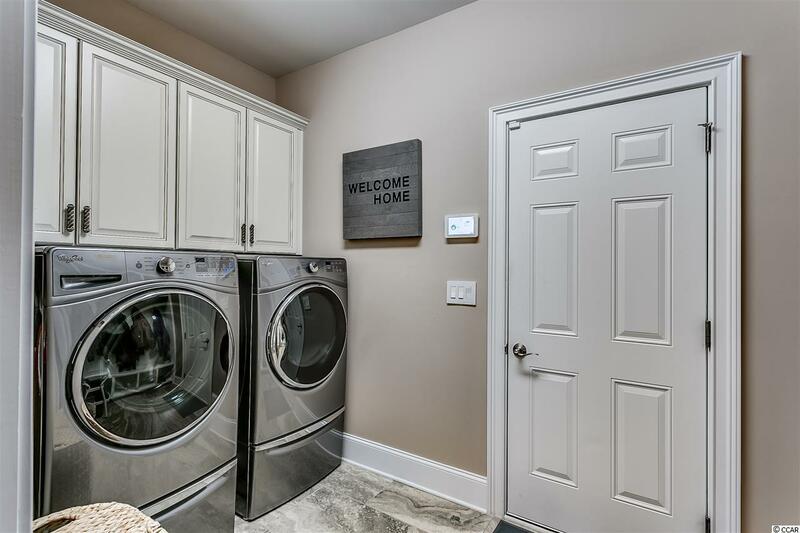 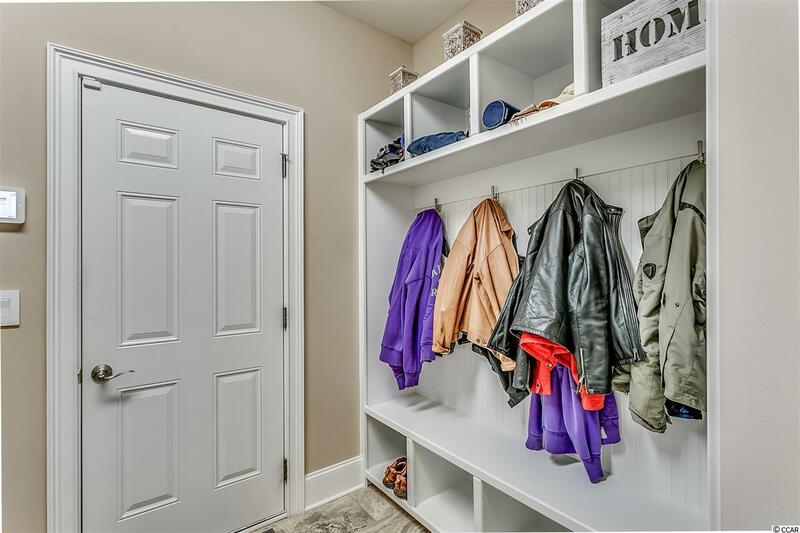 Some of the other features that your new home boasts include a split floor plan, quartz countertops, a camera system, natural gas water heater and heating system, and a spacious laundry room with the washer and dryer on pedestals. 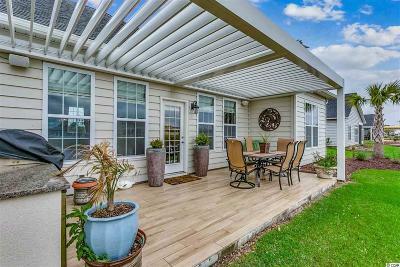 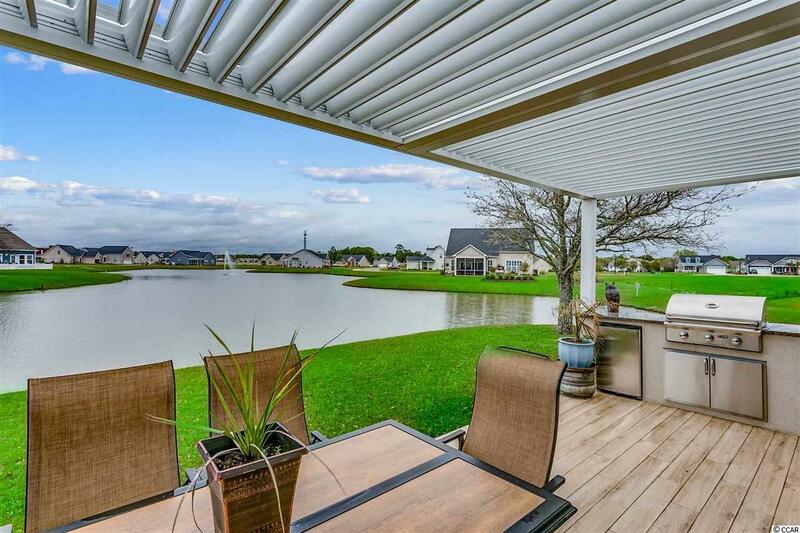 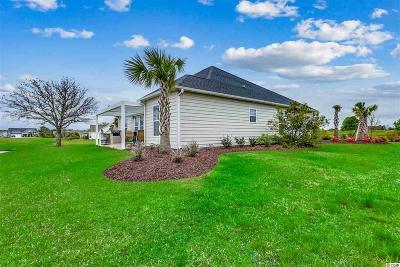 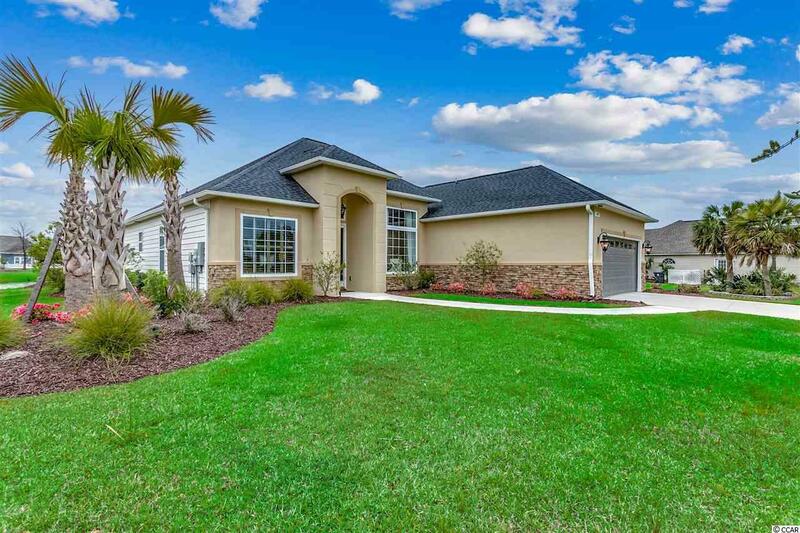 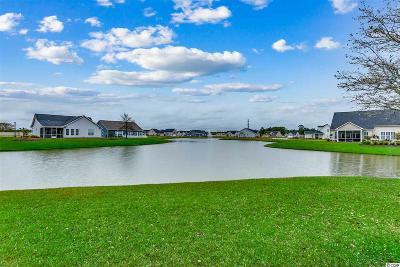 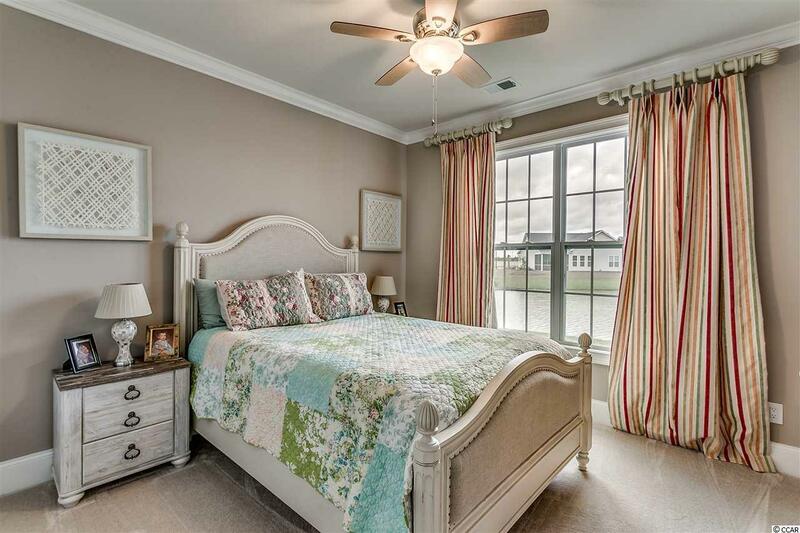 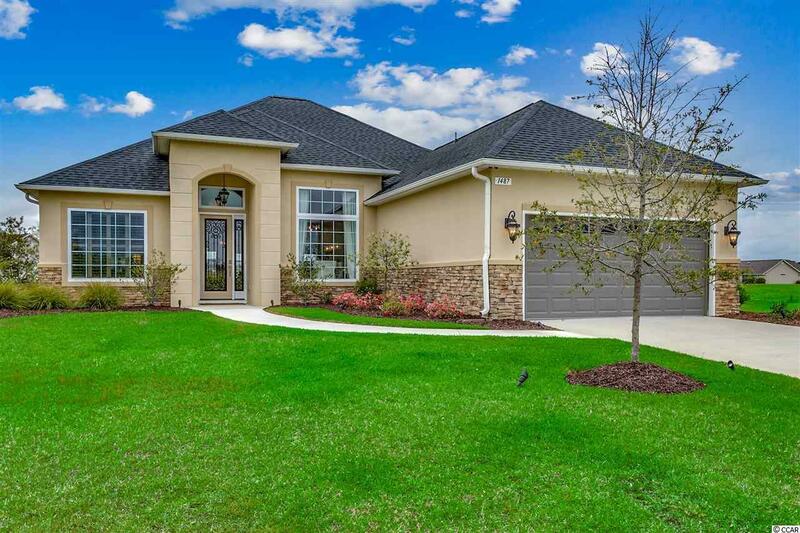 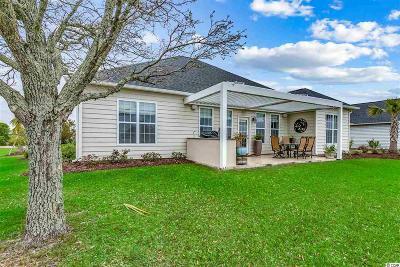 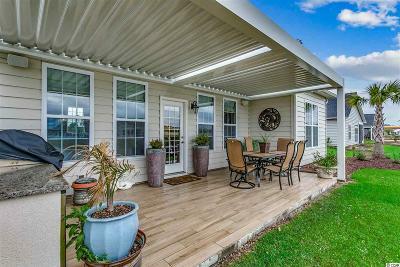 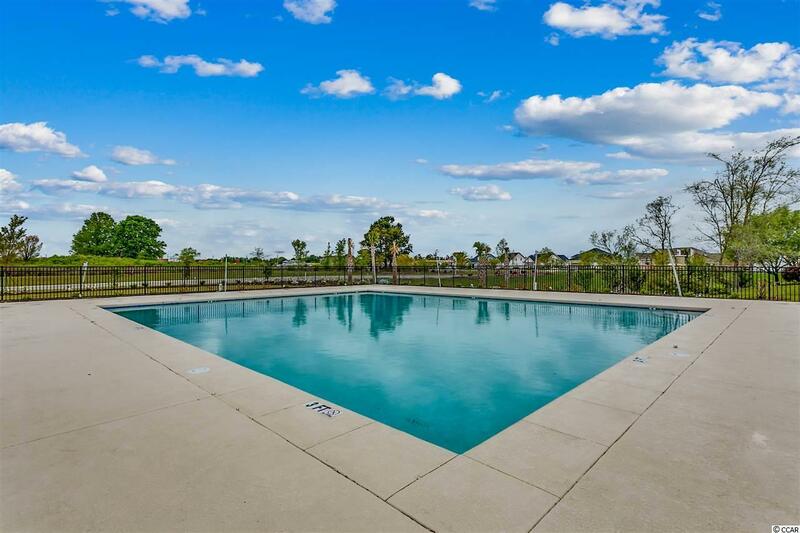 This one-of-a-kind home in Belle Mer is sure not to last! 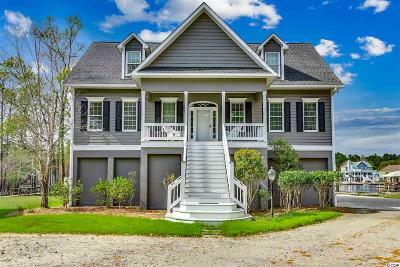 The proximity to groceries, shopping, the beach, and golf courses make this home a rare find in the area.